In the midst of my bad day of writing last Monday I sort of predicted that the coming week was too full of extra stuff and I turned out to be exactly right. I was maybe half as productive as the weeks before–but at least there was some productivity there. The meetings with campus colleagues were kind of a nice social diversion, as was time I dedicated to prepare food that the architecture honor society students demolished on Saturday night. And I spiffied up our website, so that’s something. But now it’s time to get back at it. 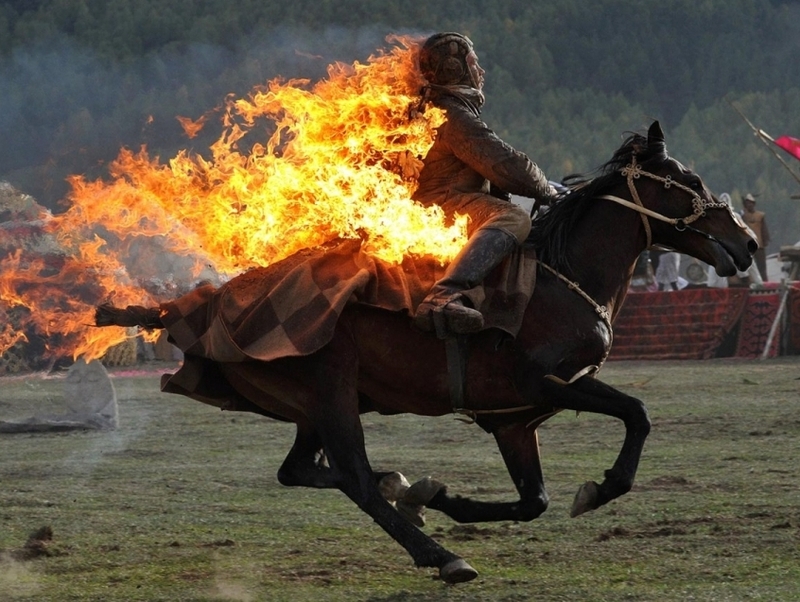 Not sure that the photo above is really an accurate portrayal of anything, but it sure is an arresting picture from the World Nomad Games that also posed a small distraction for me last week.